The Internet of Things (IoT) and Connected Workers will impact $ Trillions in spending. Are you prepared to manage your transformation? 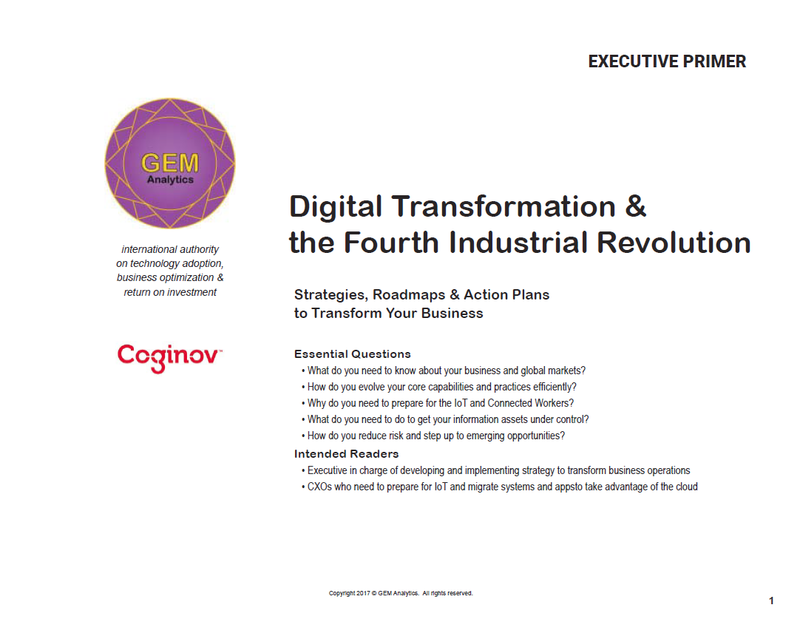 GEM developed an Executive Primer to provide insight that will help you to transform your business. Most businesses need to rethink operations. There is need to develop new strategies, roadmaps and action plans to migrate business capabilities and practices. This Primer will to acquaint you with knowledge workers insight about corporate DNA (cDNA) and business ecosystems. You benefit by getting actionable insight you can use leverage AI and opportunities to leverage Blockchain technolgies. Get Your Free Executive Primer!